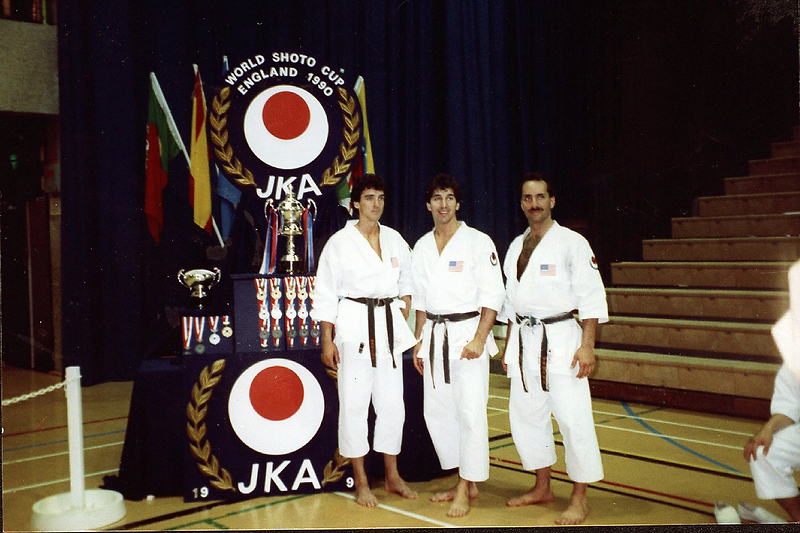 US kata team at the JKA World Shoto Cup, Sunderland, England, 1990. From left, Mark Tarrant, Derrek Aragon, and Joe Nelson. The team took fourth place at the world championships.